On Thursday, I had a Freezer Cooking Day (more details coming today about how it all went down!) and I tried a few new recipes — including . In all honesty, I wasn’t sure that I would be impressed with the recipe. I really only made it because we had some carrots that needed to be used up. 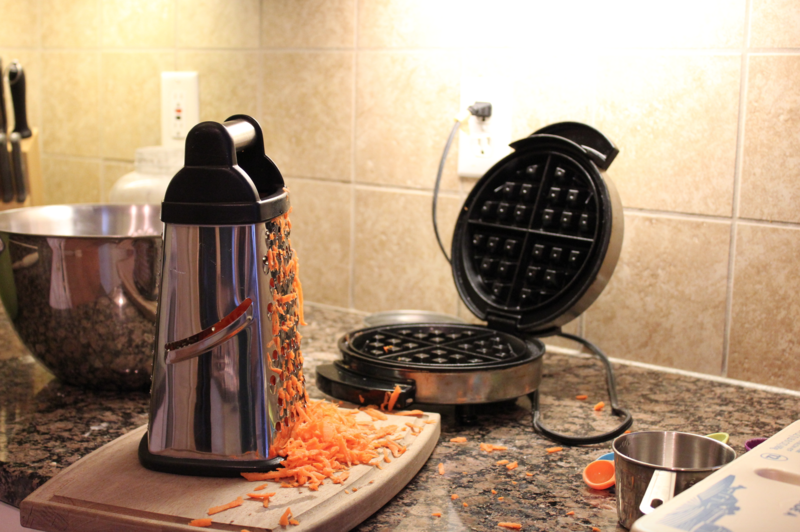 And once I made the batter and saw just how many carrots it really called for, I was even more unsure as to whether any of us would really like the waffles. Mix all dry ingredients together. In a separate bowl, mix together wet ingredients except for the carrots. Stir in dry ingredients and mix together. Fold in shredded carrots. 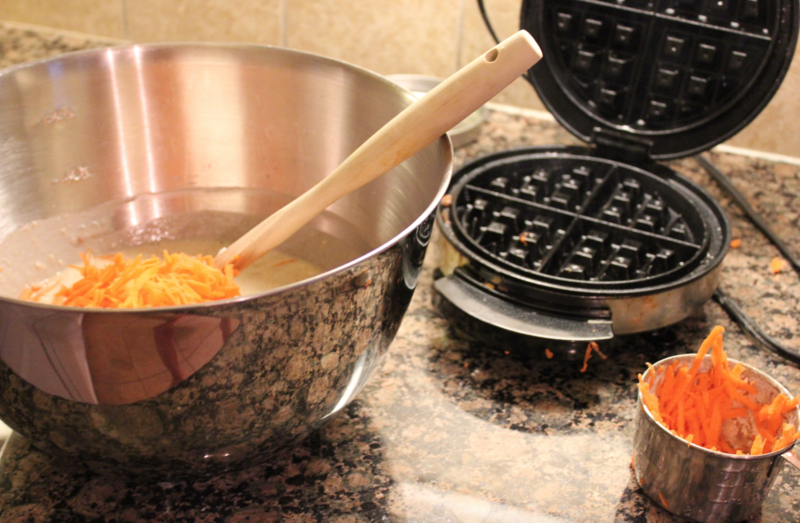 Bake waffles on a pre-heated waffle iron sprayed with cooking oil or coated in melted butter or coconut oil. The batter is quite runny, so you’ll want to make sure to bake these until they are completely browned — otherwise, you might struggle to get them off the waffle iron! Make 5-6 waffles. Adapted from . Will have on try these! Do you think this could be used as pancake batter, too? 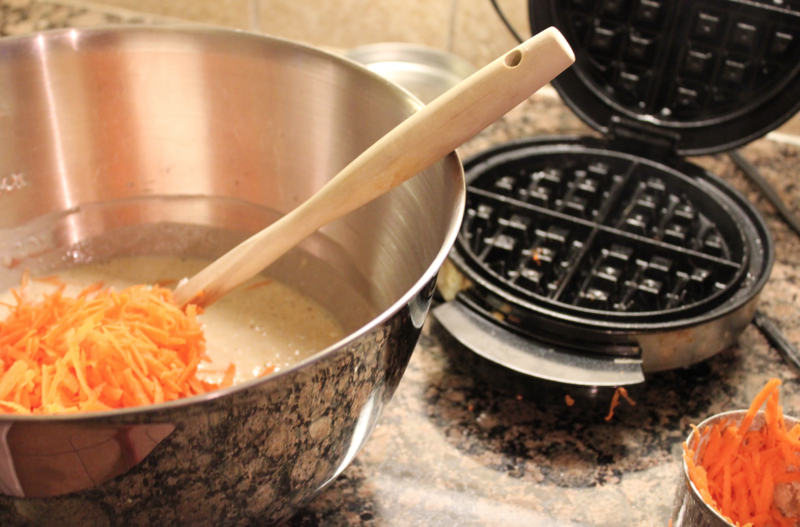 I don’t have a waffle iron, but I love getting veggies into our breakfasts! I’m not sure… if you try it, let us know!! How do you reheat freezer waffles? I was microwaving mine this weekend and they came out part soggy and part over-microwaved-crunchiness ? You could try the toaster or toaster oven. That’s my favorite for reheating waffles.